You have chosen one of the most fashionable types of wedding cake. 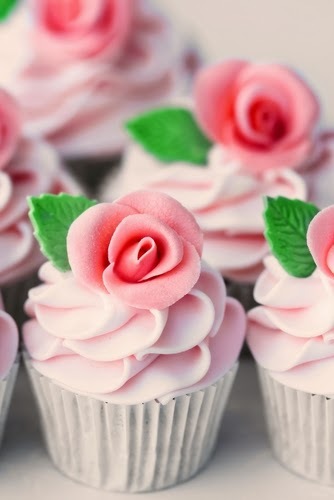 Cupcake wedding cakes have become increasingly popular over the last year. 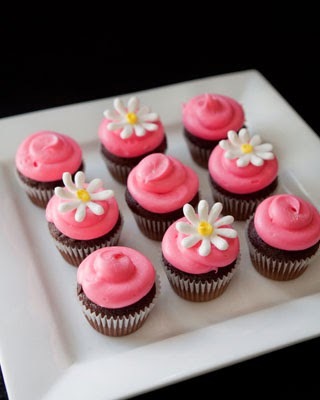 Retro - These little cakes have become popular with a generation of people who can remember them from their childhood. Just like those memories of our favourite sweets, which bring back calls of "Oh, I remember those." 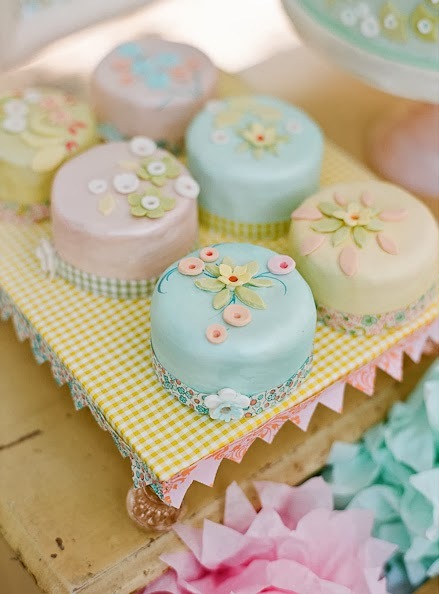 Cute - These adorable little cakes are just so cute when decorated and boy do you have a choice of decorations. These cakes can be topped with butter cream whirls, fresh strawberries, cute daisies or colourful sprinkles to name just a few options. Colours - Because the choice of topping or decoration is so vast, it is easy to coordinate these little cakes into your colour scheme. You could opt for the beautiful pastel range, plain and elegant white or a more vivid colour palette such as hot reds or chocolate browns. 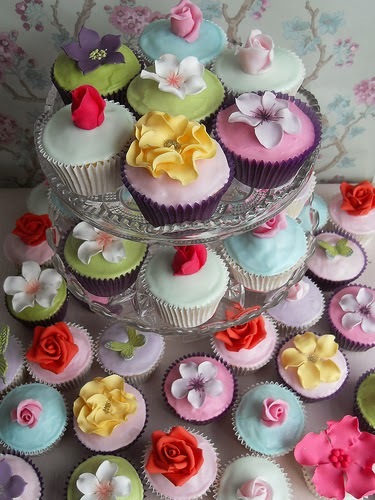 Whatever your colour theme there is bound to be a cupcake topping to complement. Flavour - Due to the unique nature of having individual wedding cakes it enables you to have a cake of many flavours. There is no rulebook out there on cupcake wedding cakes. You might decide to have all the same flavour of cakes, you might opt for two flavours or you might be unable to decide and have a cake of many flavours, the choice is yours. Some of the sponge flavours available for wedding cupcakes are: carrot, lemon, banana, vanilla, chocolate, cinnamon and many more. 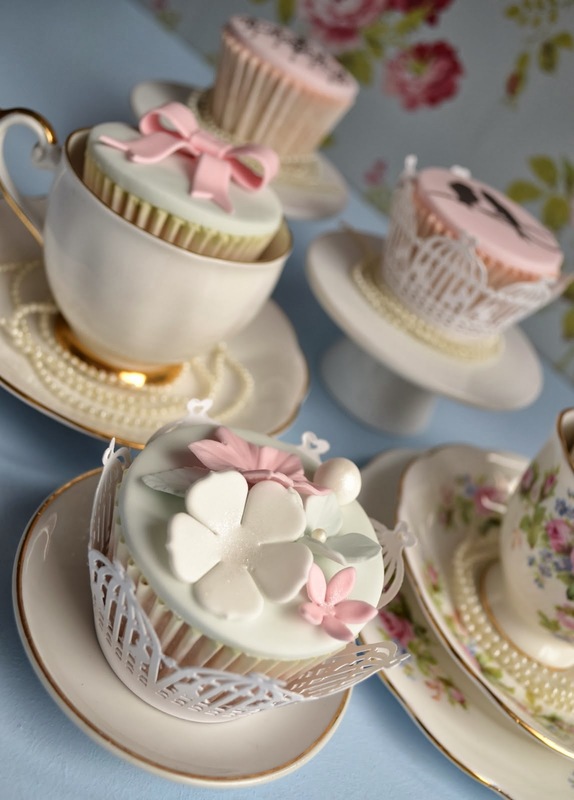 Versatility - Because of their individual nature these cakes are very easy to transport, display and serve. They also enable guests to choose a cake flavour if yours is made up of different flavours. Size - Cupcakes mainly come in two sizes: small which is a traditional cupcake size and large which is more of a muffin size. Couples choose to either have all the same size or both! 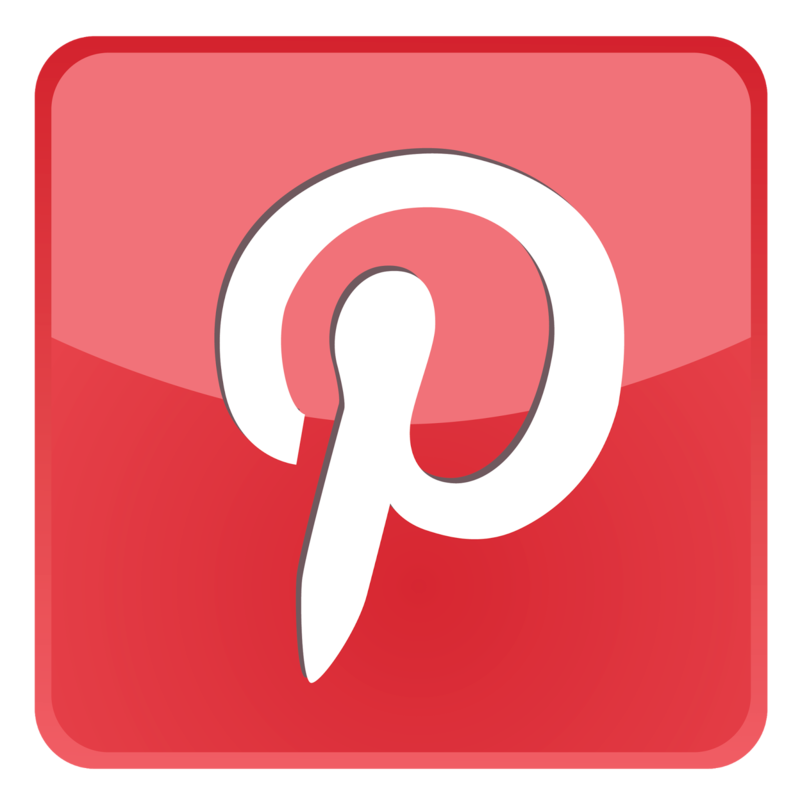 Cost - Choosing to have a cupcake wedding cake is an inexpensive wedding cake option, so if budget is an issue these cakes will offer you a perfect budget solution. 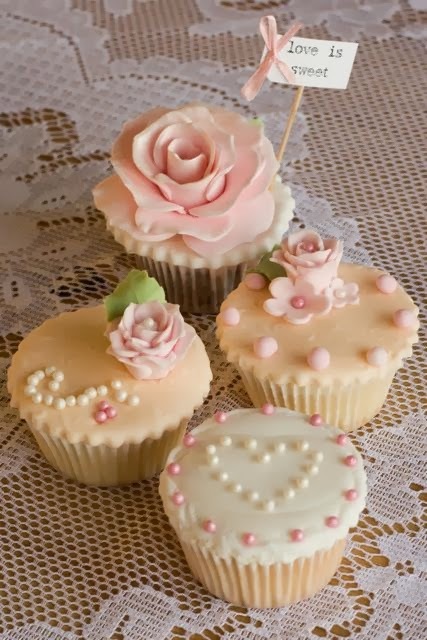 The only other decision you have to make is how to display your beautiful little cupcakes. 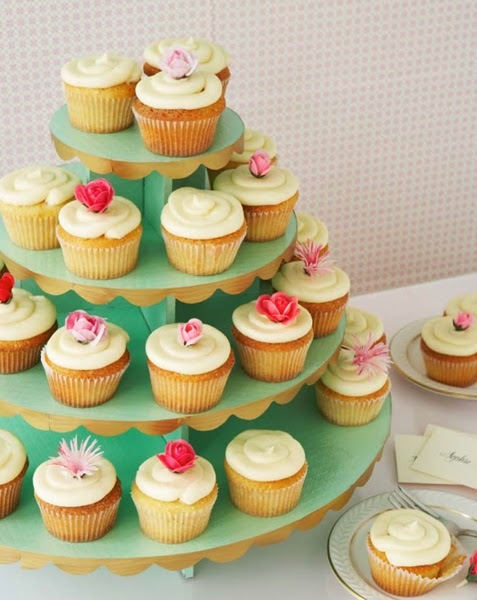 The most popular way to display cupcake for a wedding is on a tiered cake stand this is often referred to as a cake tree. It enables you to create the image of a tiered wedding cake and displays these cakes off to their full beauty. If you would like to have a traditional photograph of the bride and groom cutting the cake, have a small cake sitting on the top of the tier for this purpose.